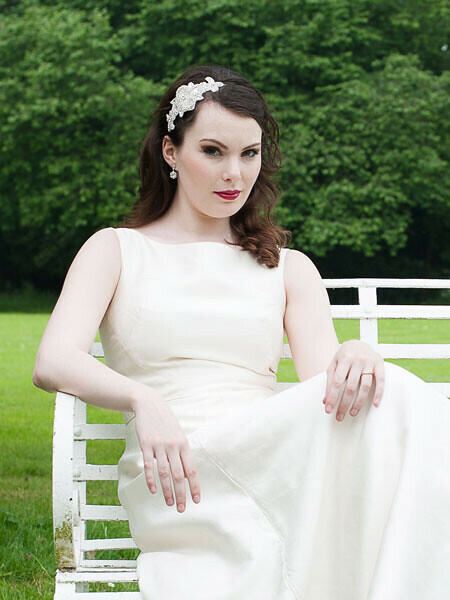 Beautiful Vintage style Lucy hairband. This hairpiece is covered in rhinestone crystals in a delicate design and set onto a silver hairband. Works beautifully with our birdcage veils. See our recommendations below.